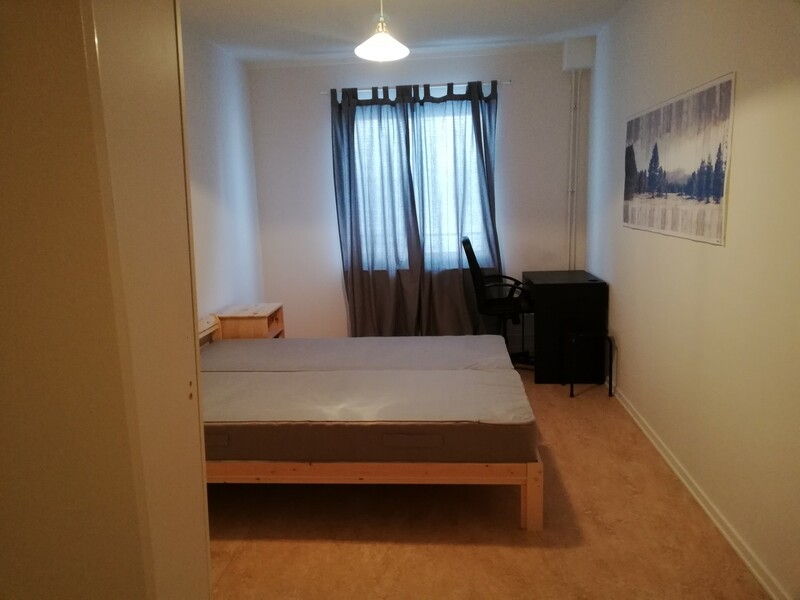 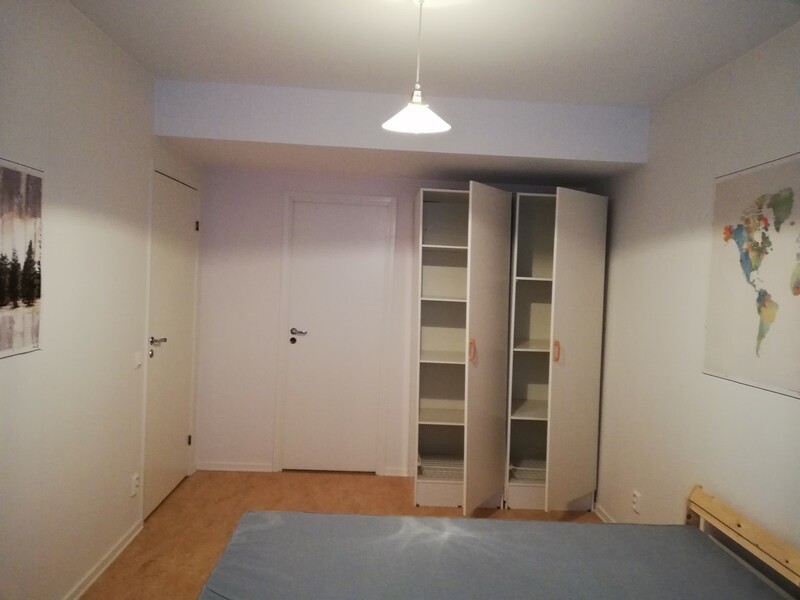 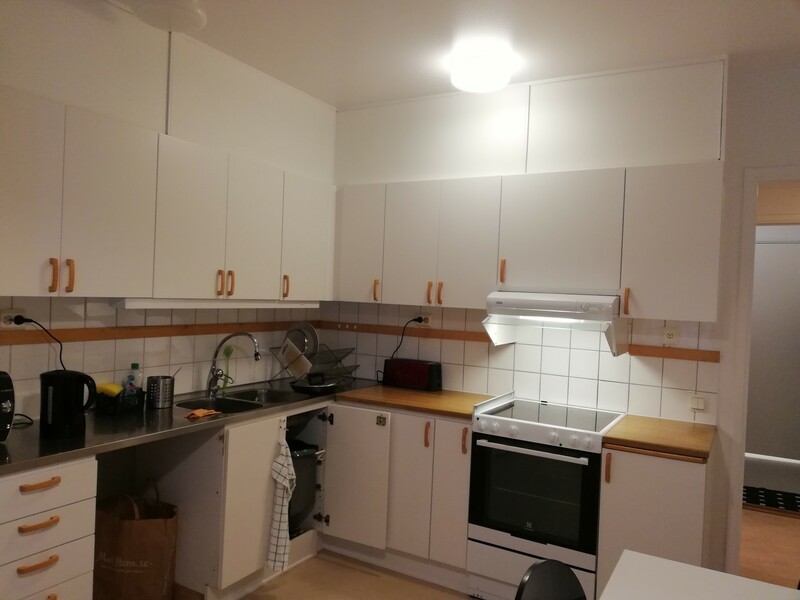 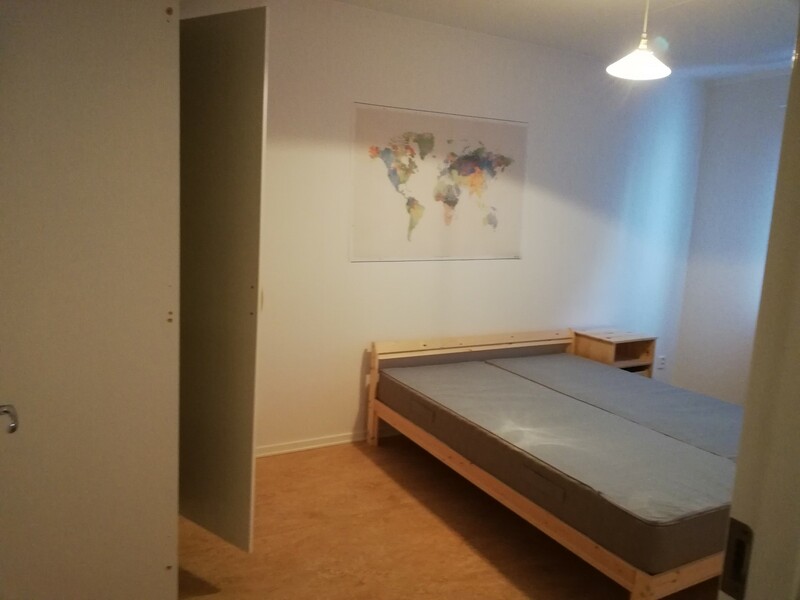 It's a white coloured room with an IKEA doulebed with 2 mattresses, 1 side drawer, a writting with a chair and 2 closets. 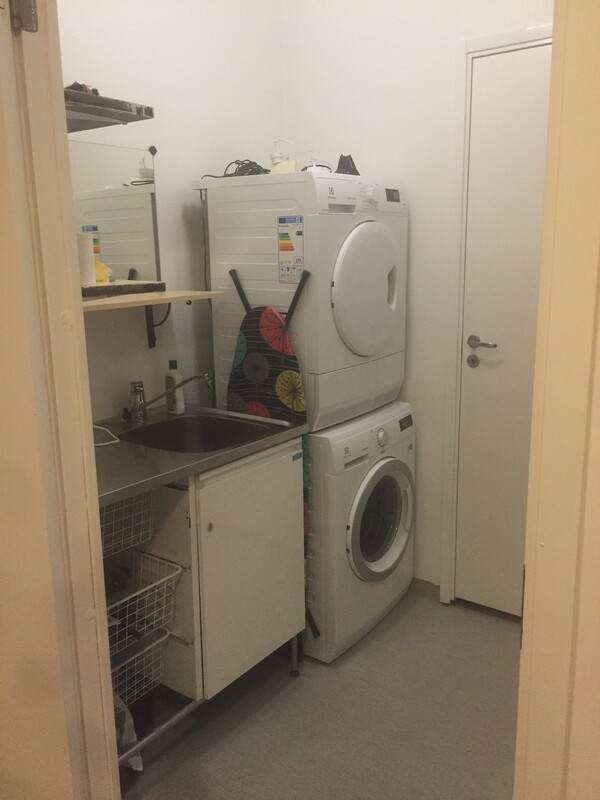 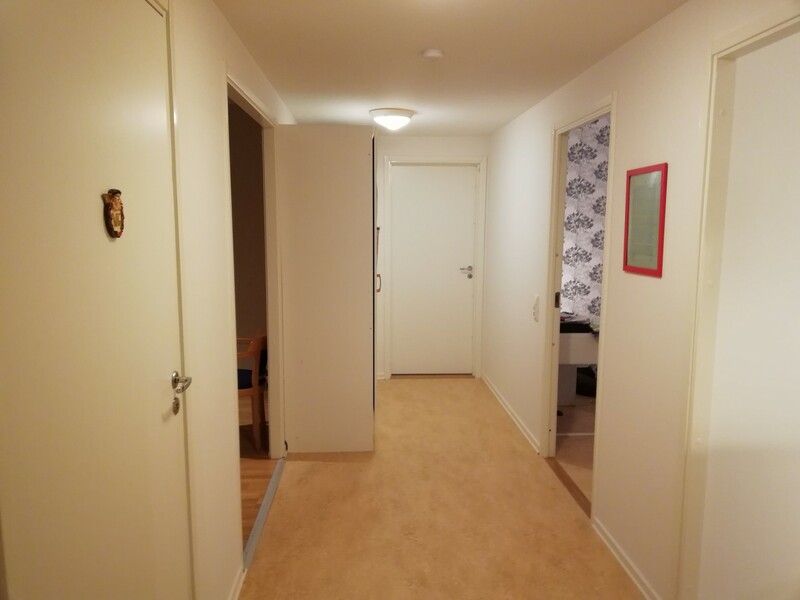 Size is approx 18sq meters in a 102 sq meter big appartment. 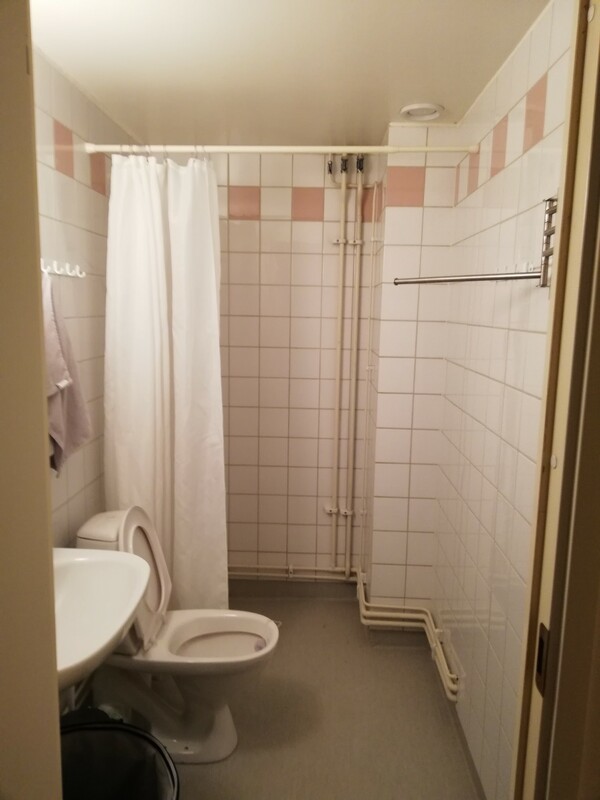 I must add, the tenant has his/her own toilet and shower. 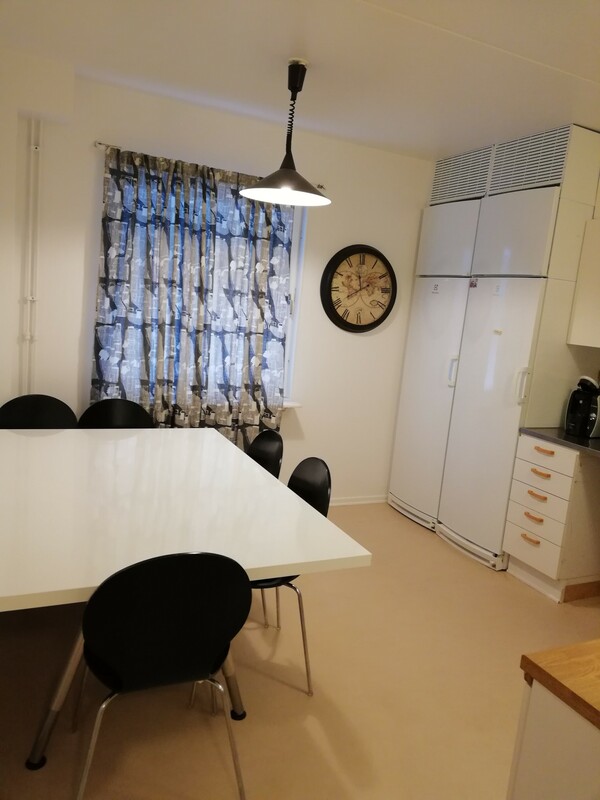 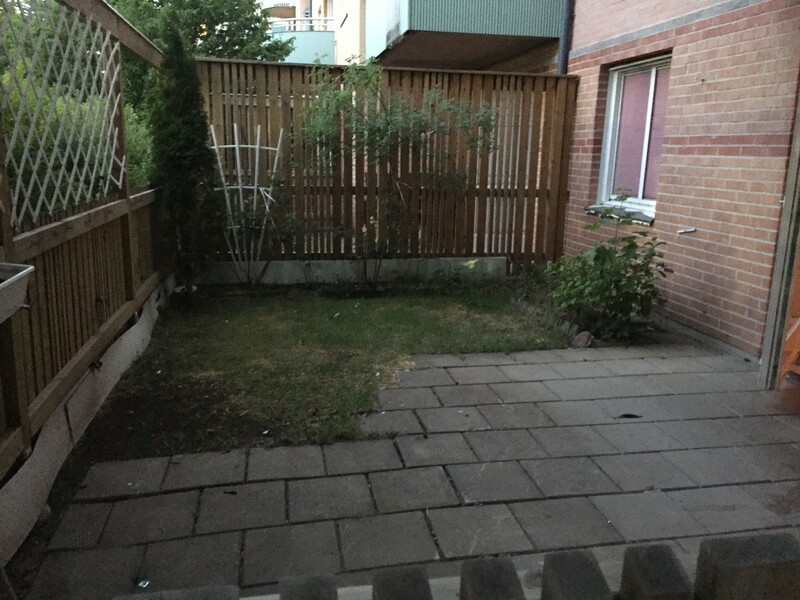 Other than that we share almost everything in the house, for example the laundry, kitchen, sitting room and outdoor terrace space which is good to have during the summer.